It may seem that Huawei appeared out of nowhere a couple of years ago, but this is far from the truth. In fact, this global company, with 16 research and development centers around the world, became the 3rd biggest smartphone manufacturer in 2015, and its success has relied in one key difference: having the best possible hardware, user experience and bang for your money. 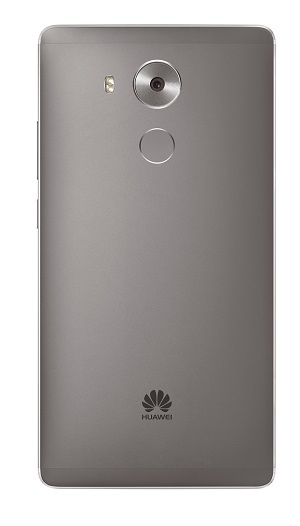 One of the latest manifestations of this thinking is the powerful Huawei Mate 8, a high end phablet that is set to be a favorite of both business people and media consumers, since Huawei’s Mate line is being marketed for always connected professionals with good taste and a fashion sense. A single piece of aerospacial grade aluminum body gives the Huawei Mate 8 an authentic premium look and feel that sits wonderfully in the hand. We were worried about the size of the screen making it unwieldy but it certainly is way more comfortable to hold than the Motorola Nexus 6 that had a 5.96 inch screen, or even smaller phablets like the Samsung Galaxy S7 Edge. Actually, aside from the beauty and solid construction of the Mate 8, the fact that Huawei was able to fit such wonderful specs and huge display and battery, is an accomplishment by itself. We in the tech world tend to get a little cynical about the amazing engineering it takes to create something like this phone, but the Mate 8 reminds us that it is not a small task. The 185g weight is just right, given the combination of display diagonal, battery capacity and metal body. The amazing Nexus 6P, for example, has both a smaller display and a smaller battery and is only 7g lighter. The fingerprint sensor has just the right amount of recess, similarly to the Nexus 6P, enough to be immediately identifiable with the tip of your finger. We found out that is extremely fast, conveniently and naturally placed at the back of the phone, where you were to put your finger to hold it, always on (unlike the Galaxy S7 Edge which is less comfortably placed on the front of the phone. Also you have to push a physical button in order to get the sensor to respond) and exceptionally accurate. The Mate 8 certainly is prepared for a challenge on its power endurance with an impressive 4,000 mAh battery that barely shows in the design as Huawei engineers have apparently cracked the code for giving awesome specs in the most compact body possible. In real life usage, this beast easily last more than a day of heavy use, no matter what you throw at it. In the most extreme of cases, we unplugged the Mate 8 at 08:00 a.m. and used it during the day for calls, instant messaging (Whatsapp, Facebook Messenger and Hangouts), mail checking, web browsing, Waze navigation and a solid 5-6 hours as a hotspot and came home at 09:30 p.m. with an impressive 27% left. With other phones, and in most cases, this percentage would mean you have to charge it over night however; an impressive feat of this phone is that it DOES hold the amount of battery that it states it holds. You won’t be looking at a 15% battery and have your Mate 8 suddenly turning off without warning; it will go through every digit and turn off at 2% with a 30 second warning for you to plug it in. This means that the 27% at 09:30 p.m. will wake up to a 23-25% (thanks to power optimization from both Huawei’s EMUI and Android 6.0’s Doze feature) and comfortably take you to a 2:00 or 3:00 p.m. quick charge (with the included charger) that will have you at 100% well before 5:00 p.m.
And that is on the most extreme of cases. During a lazy weekend we unplugged the Mate 8 at 10. a.m. on Saturday and plugged it at around 11:00 p.m. Sunday night with 15% still in the battery. It’s a total beast. The Huawei Mate 8 has a 16MP back camera. The sensor is a Sony Type 1/2.8″ IMX298 and incorporates phase detection autofocus. It has a 4:3 native aspect ratio and it can output images up to 4,608 x 3,456 pixels in resolution. The shooting modes allow you to select HDR, Watermark (also available post-shot from the image editor), Document readjustment (for scanning paper documents), Panorama and Professional, among others. The Professional mode gives you control over metering, ISO, shutter speed, exposure compensation, focusing mode and white balance, including manual color temperature setting – basically, everything. The front camera of the Mate 8 is an 8MP that shoots images at 3,264 x 2,448 pixels. It’s paired with a f/2.4 lens. It also has a beautification feature, which masks skin blemishes. It is worth noting that a small thumbnail appears in the upper right corner of the screen once you hit the shutter button, prompting you to look at the camera, and not the center of the display. The photos taken by the front camera have a good level of detail, little noise, good dynamic range and pleasing colors. There is also a nice-looking background blurring. In the video recording department the Huawei Mate 8 supports 1080p@60fps and a slow motion mode recorded at 120fps and 720p. The 1080p@60fps videos come out with a bit rate of 48Mbps while the 30fps ones are exactly half that. In either case, audio is recorded in stereo at 96kbps. The Huawei Mate 8’s camera is fast, responsive and does an excellent job in capturing everyday images. Everything you would expect from a flagship device. There’s plenty to be said about what’s powering the Mate 8. That’d be a HiSilicon Kirin 950. And because we’ve got a model with 32 gigabytes of storage, we’ve got 3 gigabytes of RAM available. The Kirin 950 is made up of four low-power ARM Cortex A53 processors running at 1.8 GHz, and four high-power A72 processors at up to 2.3 GHz. That’s paired with another coprocessor referred to as “i5” for all the things that can be offloaded from the application processor as part of the “Sensor Hub.” Toss in a Cat. 6 LTE modem, a Mali T880MP4 graphics processor, and more for imaging and voice processing, and you’ve got yourself a beast of a system on a chip. It’s all about better power consumption and performance, really. And it truly delivers in real life since we never saw the phone stuttering even a bit and even when we had about 20 apps running in the background. Because of the Kirin 950 and the (seemingly unlimited) 4,000 mAh battery, this is the ideal for the always connected business man or the snap chatting, Facebook using, Instagram addicted millennial that can’t miss a single notification from the moment he/she wakes up until 2:00 a.m. after finishing that last Daredevil episode in the bed. With an impressive 85% screen to body ration, the Mate 8 manages to fit a 6 inch FHD display into roughly the same footprint of a 5.5 inch screen iPhone 6s Plus, making it ideal to watch movies, read, edit work documents like PPTs, Word and Excel (with the included software), browse the Internet and social media like Instagram and Snapchat, while allowing a comfortable grip that doesn’t sacrifice screen size. The Huawei Mate 8 uses an IPS-NEO LCD panel by JDI, which delivers deeper blacks, provide excellent visibility under direct sunlight and, at a 368ppi density, it’s comfortably above what Apple coined as Retina resolution. We found out that the dubious decision of having a 1080p display on an obvious flagship was on the spot. Many are enamored with the idea of QHD displays but forget that they consume more battery than a 1080p one, and that there isn’t that much content to enjoy in that resolution natively. So this decision fits the current times and also the Mate 8 battery life. We are sure that Huawei will integrate QHD displays to their flagships once that decision makes more sense for the user experience. Even though some of us can’t believe it, some phones are still used for calling other people. Luckily for those weird people, the Mate 8 handles voice calls very well and sound quality is consistently good on either end of the line. You can even choose only to pick up sounds from a 120-degree arc around the primary microphone when on speakerphone, useful in loud environments. 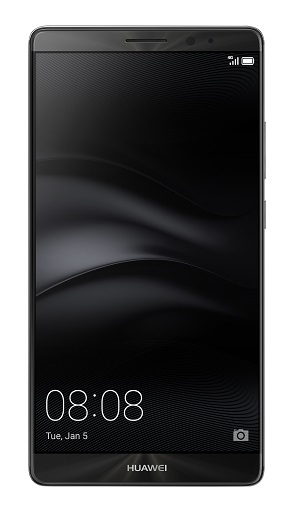 However, if you want to use it for a conference call, you’ll be happy to know that the Mate 8 incorporates what Huawei calls “Super Hands Free 3.0” that allows you, among other features like answering calls with your voice while driving or doing chores around the house, to capture 360 sound up to 3 meters away from the phone’s microphone. The speaker gets the job done and is remarkably good and clear. SO, IS THIS THE PHONE FOR YOU? If you like not having to worry at all about battery life, having an always snappy response from your devices and sporting a premium design everywhere you go, then yes, it is.